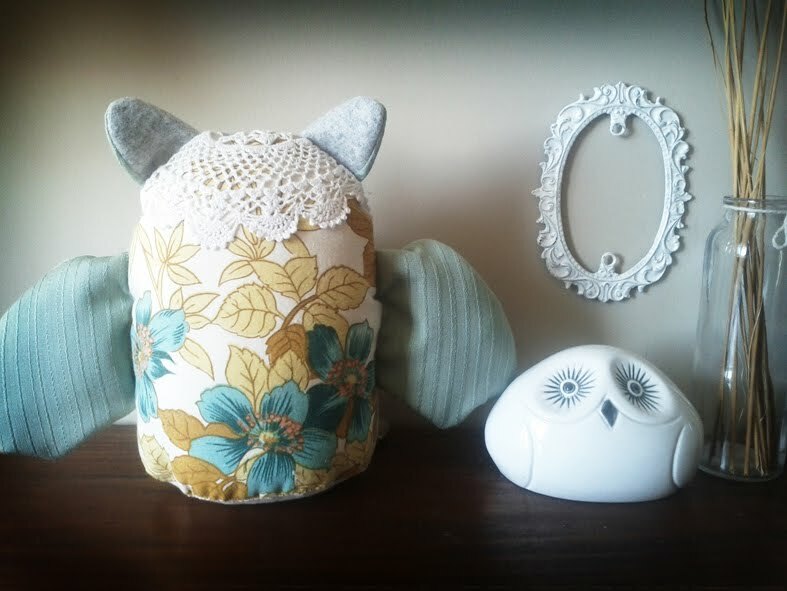 I found this cutest wee owl softie pattern on Etsy (thanks to mytinystar) and couldn't resist buying it! It's the perfect addition to our babies room and was an easy project to keep me occupied in the evenings. 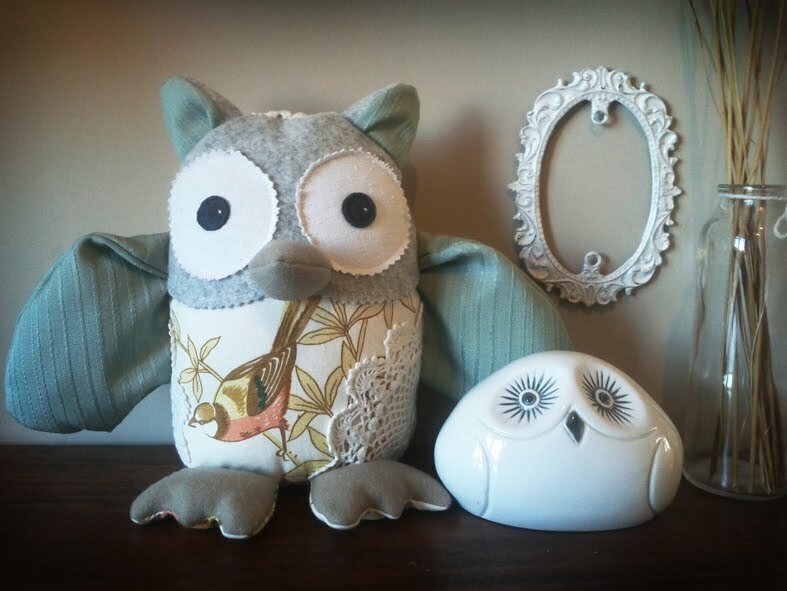 Made from old curtains I found at the opshop, scraps of felt and finished off with doilies, the colours fit in nicely with the colour scheme I'm trying to go with. It's got a little weight in the bottom to keep it sitting upright. Now to make an Oliver! That is so cute Bex, love her.